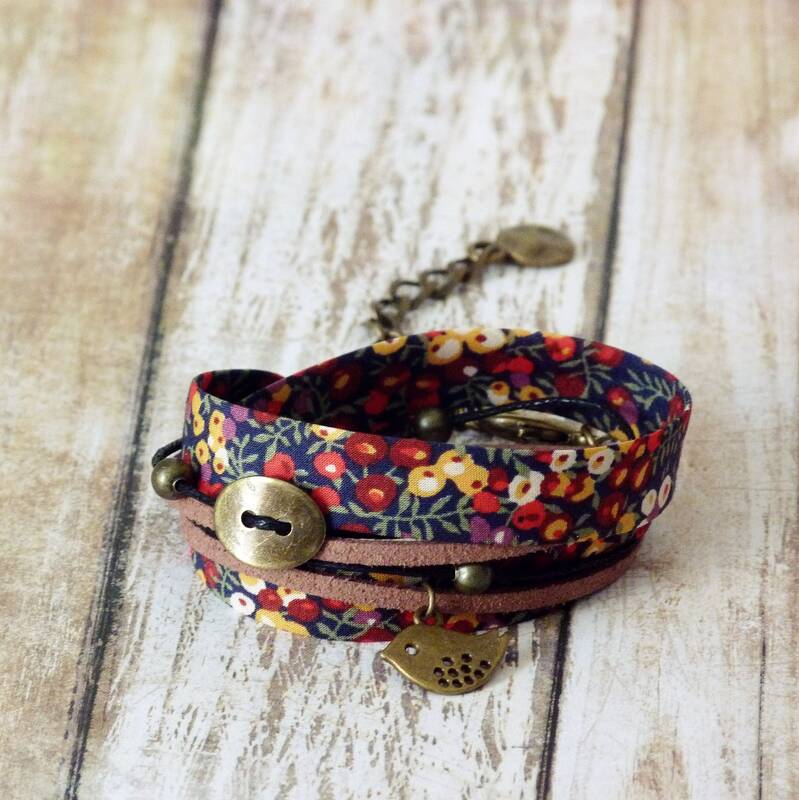 You will love this double wrap cuff style Liberty bracelet made with a beautiful Liberty print textile ribbon, brown leather and cotton strings, various antique brass beads, charms and components, including a lobster style clasp. 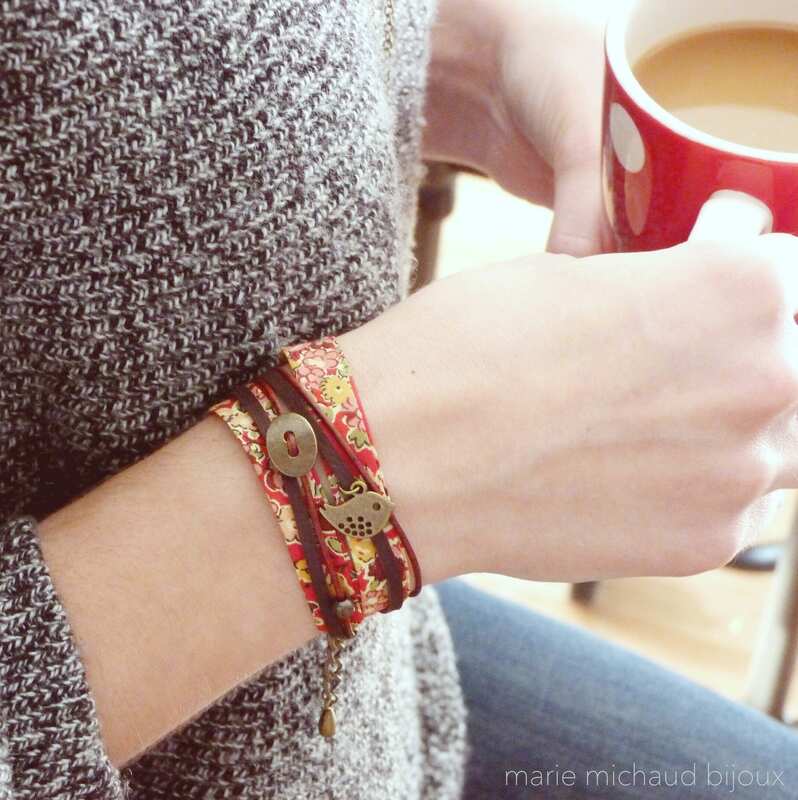 Includes a small transparent "Micho" signature charm for Marie Michaud Bijoux. 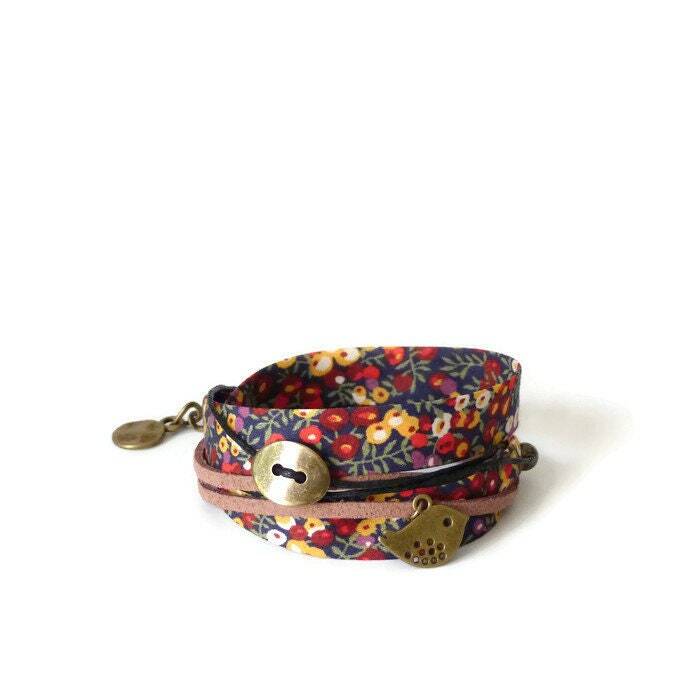 This textile bracelet will look great all year long! It will be perfect with a relax weekend outfit. It will also make a great gift for any woman who likes playful and original jewelry! 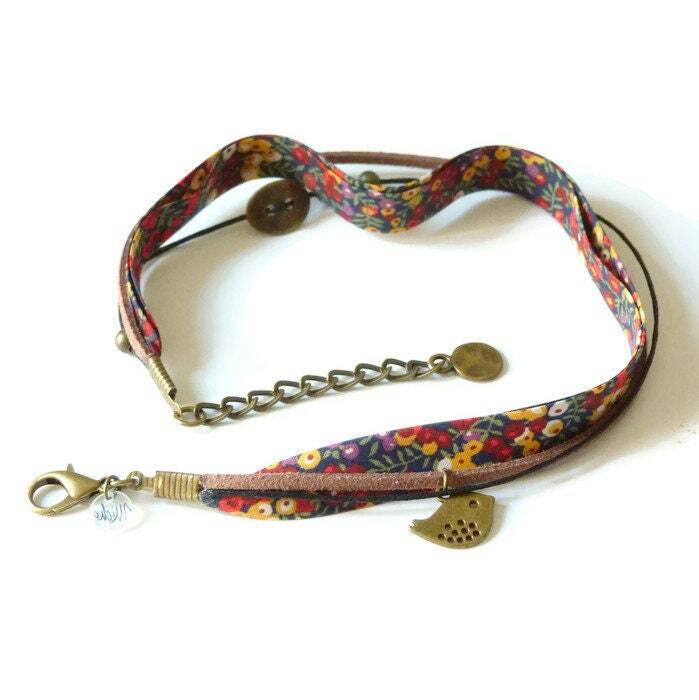 The bracelets worn by the models are similar to the one on this listing, the design is exactly the same, only the prints are different . 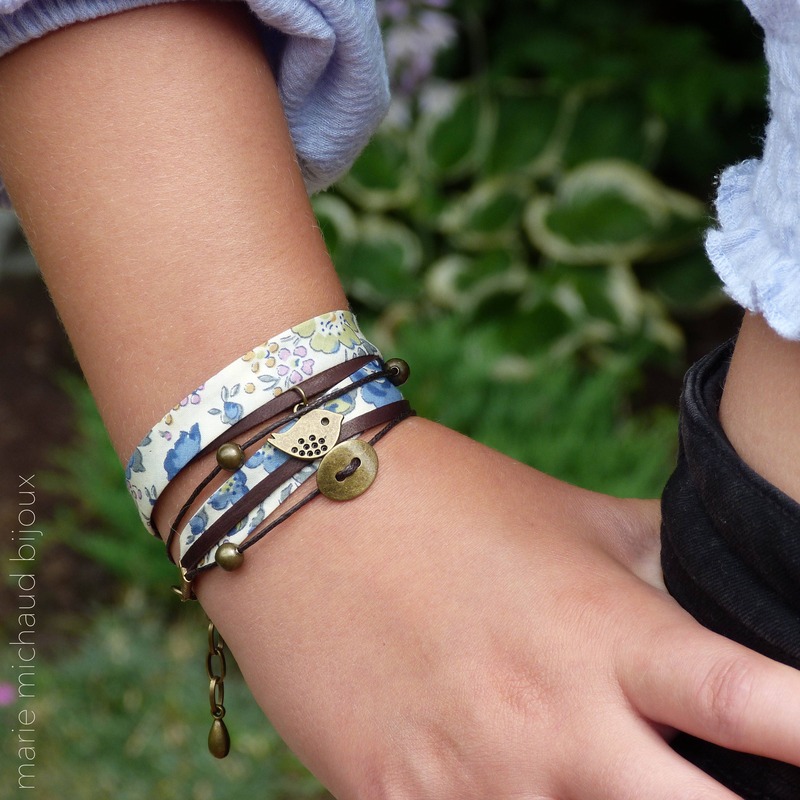 The pictures are used to show the bracelet when worn. It must be wrapped twice around the wrist and it is adjustable. Please measure your wrist and compare with size below before purchase. Each one of my creations is made with great skills, patience and care. Please keep it away from water, make-up and household products. However, the textile ribbon can be delicately cleaned with a wet washcloth and a little soap. 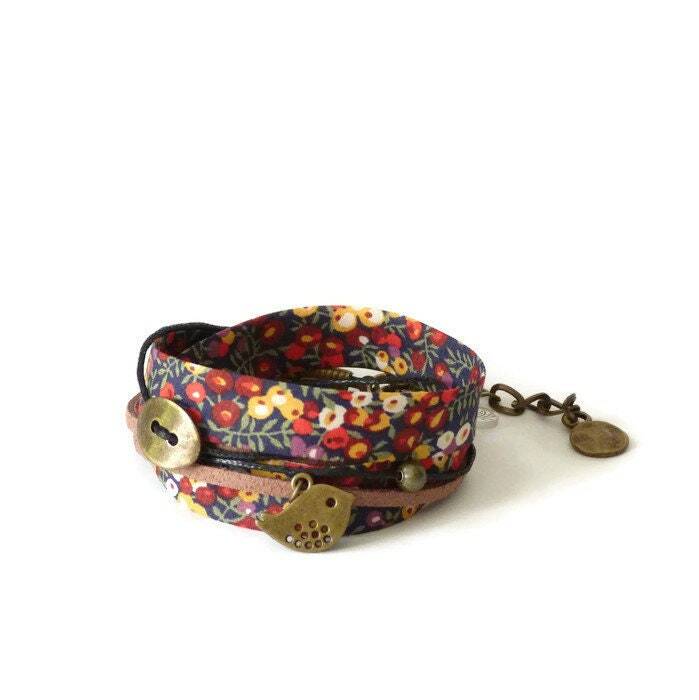 All my textile bracelets are made with gorgeous Liberty-of-London Tana Lawn fabric. Tana Lawn cotton is unique. Made from specially selected ultra-fine cotton and finished without the use of crease-resisting chemicals or irritating allergens, the result is a famous masterpiece of fabric technology with brilliant reproduction of colors and prints! This bracelet will be shipped gift wrapped.